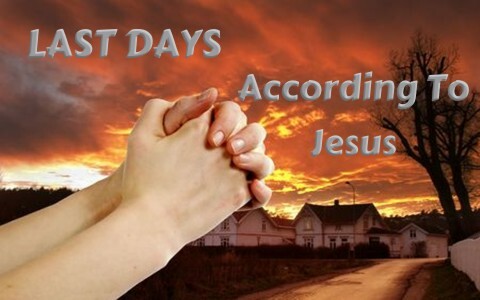 What are the last days before His return going to be like? Jesus explains the days prior to His second coming. Jesus spoke a lot about the end times, as far as things leading up to the destruction of the Temple and Jerusalem in 70 AD, but so did the Apostle Paul, who was in His own last days. In the very last letter he wrote, Paul said, “But understand this, that in the last days there will come times of difficulty. For people will be lovers of self, lovers of money, proud, arrogant, abusive, disobedient to their parents, ungrateful, unholy, heartless, unappeasable, slanderous, without self-control, brutal, not loving good” (2nd Tim 3:1-3), and worse yet, they shall be “treacherous, reckless, swollen with conceit, lovers of pleasure rather than lovers of God, having the appearance of godliness, but denying its power. Avoid such people” (2nd Tim 3:4-5). Of course, you can’t avoid them all because we’d have to leave this world, but Paul means we ought to separate ourselves from those who practices these things because they’re storing up wrath against that Day of judgment. Can’t you see that we are living in dangerous times? There are nuclear threats from North Korea, terrorism, both domestic and abroad, and escalating violence in our land. And I believe it is going to get worse and worse as we approach the day of Jesus’ return. Many of the things that Jesus prophesied in Matthew actually took place in or just before 70 AD. Things like the destruction of the temple, where not one stone was left upon another because the Romans sought for gold that they believed was hidden in between the stones. That’s why Jesus said “there will not be left here one stone upon another that will not be thrown down” (Matt 24:2b), and that happened. The disciples appear to ask two questions. One about “when will these things be,” meaning the destruction of the Temple (Matt 24:3a), because that’s what they were talking about when they walked out of the Temple (Matt 24:1-2), but they also ask, “and what will be the sign of your coming and of the end of the age” (Matt 24:3b). That sounds like two more questions, but I believe they’re asking about the same thing. It is from this point that Jesus launches into the “last days” prophecy or sometimes called, The Olivet Discourse or Prophecy, however we know from history that some of these things happened in the disciple’s lifetime. There were rumors of war and then war (the destruction of Jerusalem, and the Jews failed attempt to take back the city and Judea). That came in the late 60 AD’s. By then, there were actually false Christ’s, who literally proclaimed that they were the Messiah, however today we might see that as someone who is proclaiming another Christ and not the God of the Bible. For example, some cults and other world religions teach that Jesus is not God, but just a prophet. Another one (a cult) teaches that Jesus became God, and so can we, but that is a totally different Jesus they are teaching about. That is not the Christ, but the thing is, it is as Jesus said; they have led many astray (Matt 24:5). Do I need to tell you anything about the global threats of war? Today there is increasing tension that not even the old Cold War in the 20th century was like. I remember participating in civil defense drills in the late 50’s and early 60’s at my school. They were telling us what to do in case of a nuclear explosion if we were at school. Those memories have suddenly come back. I’m not afraid to die, but what I’m saying is that the rumors of wars are now on the increase. Jesus said, “And you will hear of wars and rumors of wars. See that you are not alarmed, for this must take place, but the end is not yet” (Matt 24:6). Again, this had application for the first century church, but it’s also relevant for today. It was a war…total war, around Jerusalem, and after 70 AD, it looked like it. Even with that, Jesus said, it was not yet the end. The world’s population is estimated to be 7.5 billion people, and it’s growing at around 100 million per year, but that will rise by another 5 to 10% next year, meaning there will be well over 100 million people born in less than a year’s time, and the population will soar to around 8 billion not that long from now (2019). With such a rapid rise in the population, it won’t be long before the population will easily outstrip the earth’s capacity to feed us. That spells catastrophe of epic proportions. That is also one of the signs Jesus gives prior to His return. He said, “For nation will rise against nation, and kingdom against kingdom, and there will be famines and earthquakes in various places” (Matt 24:7). Again, we must consider the fact that this also happened during the Roman siege of Jerusalem. The blockade kept the Jews from resupplying and many starved to death. Famine typically follows a time of war anyway, and in Jerusalem’s case, from late 68 AD to 70 AD, there was virtually nothing left to eat. The Jewish war of rebellion against the iron fist of Rome ended badly. It also caused a great famine in Judea because the Roman armies had a scorched earth policy. Burn it if it helps feed the Jews. Destroy it if it can house Jews. Finally, Jesus says, “Then they will deliver you up to tribulation and put you to death, and you will be hated by all nations for my name’s sake” (Matt 24:9), and when that happens, “many will fall away and betray one another and hate one another” (Matt 24:10). When many fall away from the truth, many fall into error, once again Jesus says, “many false prophets will arise and lead many astray” (Matt 24:11). This is twice now that Jesus mentions false prophets who come in His name and that they will mislead many, not a few, but many! Sounds bad doesn’t’ it, but before Jesus returns, He says “lawlessness will be increased, the love of many will grow cold. But the one who endures to the end will be saved” (Matt 24:13-13), so it is only when “this gospel of the kingdom will be proclaimed throughout the whole world as a testimony to all nations, and then the end will come” (Matt 24:14). How far has the gospel reached? Many believe nearly every nation and every tongue have been reached, but we really can’t know for sure. Indications are, many have heard the gospel, but when God has saved that last person prior to His return, the gospel would have been preached to the very last person before Jesus comes again, so technically, “this gospel of the kingdom will [have been] proclaimed throughout the whole world.” We really have no idea when Jesus will return, but we should be motivated with a passionate urgency because Jesus said, it could be at any moment (Matt 24:44)! I do not like getting tangled up in timelines or prophecy studies as much as I desire to focus on being a disciple of Christ. That means I follow Him wherever He went and do whatever He did, and then go wherever He tells me. I must live for Christ and share Christ since no one knows the moment of the return of Christ. I have no secret information. I only know that nothing prevents His coming at any second, and besides, everyone’s “last days” are right now since we’re all only one heartbeat from eternity. Where will you spend it? Read more on this topic: Are We Living in the Last Days? Resource – Scripture quotations are from The Holy Bible, English Standard Version® (ESV®), Crossway Bibles. (2007). ESV: Study Bible : English standard version. Wheaton, Ill: Crossway Bibles. Used by permission. All rights reserved. Clock World of Meters. “Current World Population.” http://www.worldometers.info/world-population/ (Accessed, July 28, 2017). In your article you said we really can’t know for sure how far the gospel has reached, but the New Testament does reveal to us how far the good news has gone. Jesus predicted the gospel of the kingdom would be proclaimed throughout the whole world before the generation of his day passed away (Matthew 24:14 + Matthew 24:34), and Paul makes it clear to us that Jesus’ prophecy came true during Paul’s lifetime! Hallelujah! In case some reading this are confused about what the definition of WORLD is in the New Testament, just read Luke 2:1 “In those days a decree went out from Caesar Augustus that all the world should be registered.” During the lifetime of Jesus & Paul the world was understood to be the Roman empire. It is estimated that 25% to 50% of the world’s population lived in the Roman Empire around 100 AD.